Showing results for tags 'wedding coordinators'. hire Make It Perfect Weddings & Events is looking to hire! 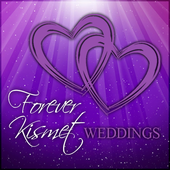 Officiates - Do you like to minister a wedding? We are looking for ministers, priests [for any International culture] or officiates who can do different types ceremonies. If you are interested, let's meet and discuss your role at Make It Perfect. Wedding Coordinators - Are you looking for a great team to work with? Are you looking for stability and a job in Second Life Job? Are you a people person and loves to be a part of someone's love story? We are looking for you. Yes, training will be provided upon hire. And the pay package will be discussed at the time of interview. For all the above positions, please send a notecard with your online time availability for interview to either GiaBlossom Resident or RainConner. I will get back with you and we can discuss the details further.